Instead of throwing away overripe tomatoes, you can reuse them and turn them into brand new tomatoes! All you need is some soil, a pot, a tomato, some time, and a little help from Mother Nature. You will first need to take your tomato and cut it into quarter-inch slices. Then place your tomato slices into a pot on top of a bed of compost. 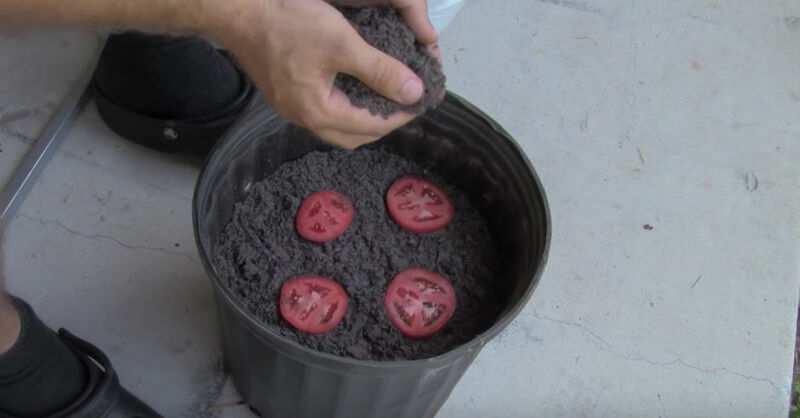 Next, you will want to place either potting soil or more compost over the tomato slices until they are just covered lightly. Be sure to water the soil here and there, and in a week or two, you will see dozens of seedlings sprouting. You will be able to remove the larger seedlings from the pot and replant them into a larger pot. You can place up to two seedlings per pot together. While this method may seem simple, it works! A study done by Yale Environment 360 showed that somewhere between 30-40% of food grown in the US ends up being wasted. Many households waste so much food due to it going bad, why not give this method a try and reuse something you would have otherwise thrown away. Besides, you may just find that you have a green thumb and gain a new hobby!